Lower back pain on the right side of the spine is a common patient complaint, often experienced near the waist and wrapping unilaterally around one half of the torso. Right sided lower back pain can come from all of the usual sources of dorsalgia that might express themselves anywhere else in the lumbar spine. 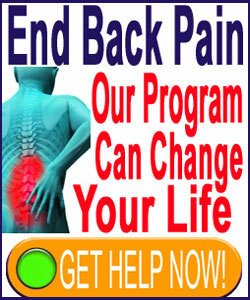 However, there is also a specific cause of right sided pain that might be present in some patients. Many patients feel that the location of their pain on the left or right might help them to identify its cause. In a few cases, this is a correct assumption, but in most lower back pain circumstances, the symptoms can exist equally on left or right from identical causations. However, when a diagnosis has already been rendered, symptoms that only exist on the right might help to verify or exclude the diagnosis as being valid. This essay explores right sided lower back pain, including its causes and expressions. When describing right sided low back symptoms, patients might be referring to a small or large area on one side of the spine. Symptoms might originate directly over the spine in some cases and radiate towards the right or might be sourced off center of the spine wholly on the right side. Pain will usually exist about waist height, although some cases might be slightly higher or mildly to moderately lower, often encompassing the right buttocks. Pain might exist on the true side of the body, as well as, or instead of, in the actual back. Some patients will also experience right sided sciatica in the buttocks, legs and/or foot. 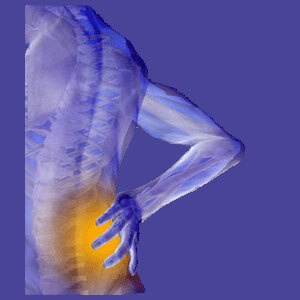 This pain may or may not be related in identical causation to back pain that is present. Pain on the lower right side of the back can take many forms, as detailed in our lower back pain symptoms section. Pain might be localized or radiating. Some patients experience pain in shooting patterns from one area to another. Pain might feel like dull achiness, soreness, overexertion or numbness in some patients, while it may be sharp, burning, stabbing, deep and acute in others. Some types of pain might be linked to mobilization of the back muscles or spine, often through specific ranges of motion. Some patients can barely move without setting off waves of pain, while others only experience pain if they perform particular movements. Some patients simply have pain all the time which is seemingly unrelated to activity. Pain might be transient and acute or may fall into a pattern of repetition. For latter scenarios, patients may suffer recurrent flare ups of lower back pain on the right or a chronic presentation of variable suffering all the time. Pain on the right side of the back, as well as lower back pain on the left, can come from identical spinal sources. These symptoms can also come from identical muscular causation or even from the kidneys, which exist on both sides of the spine. However, there is one possible source of right sided pain that can not exist on the left and that encompasses symptoms that originate in the liver. The liver is a right sided organ that can produce feelings of right sided back pain in rare cases. Most liver pain will be located on the front of the body or on the frontal, lateral side. However, some particular conditions might involve deeper pain that can feel more dorsally located in some patients. Therefore, in addition to typical diagnostic evaluation for any type of lower back pain, patients with right-sided symptoms should be carefully screened to be sure that the liver is not involved in the painful complaint, since liver issues can create serious health risks.